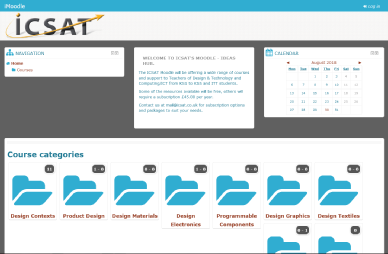 The ICSAT Moodle VLE offers a wide range of course modules and support modules aimed at all aspects of D&T - KS3 to GCSE. 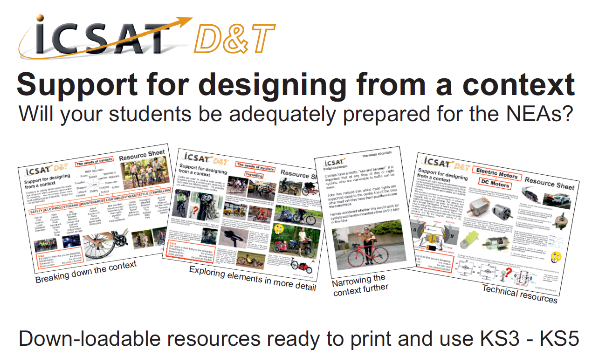 We are developing a range of modules to support the new GCSE NEA contexts, along with supporting resources. Along with basic electronics support and access to the full range of eCards. This will be a pick’n’mix subscription service, with each module costing approx £45 - a similar cost to our Examination Preparation DVD’s. To visit our Moodle site click here, or on the Moodle site image or the Moodle logog. Some of the sections are free access other are by subscription as detailed above.